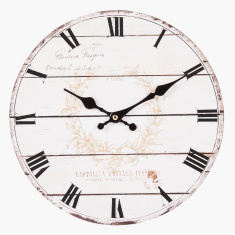 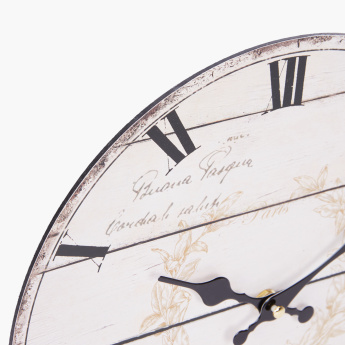 Accentuate the overall look of your living space by including this beautiful wall clock. 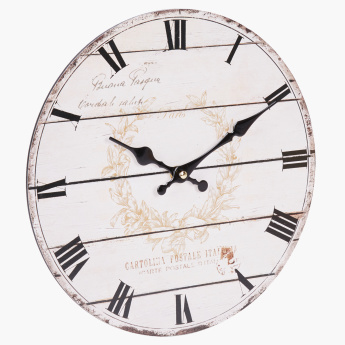 Circular in shape, this clock has Roman numerals and stylish hands to indicate the time. 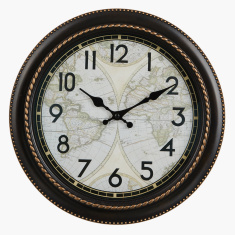 Easy to install, this wall clock is truly a must-have.